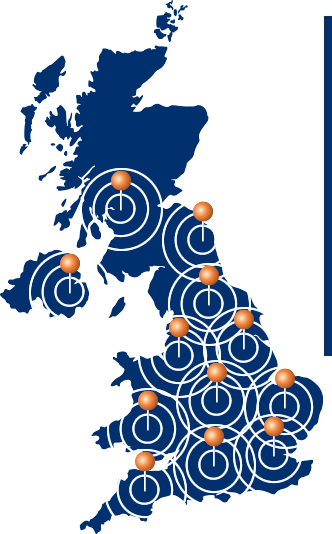 It is critical that your occupational health needs are local to your business; so don’t be fooled by our head office address as we cover a broad depth of locations successfully, proven by our spread of happy clients. This map is indicative of the areas we cover so that you can get a feel for our coverage in your location or locations. For more information on where the nearest Occupational Health Adviser to you is based, contact us by clicking the link below.